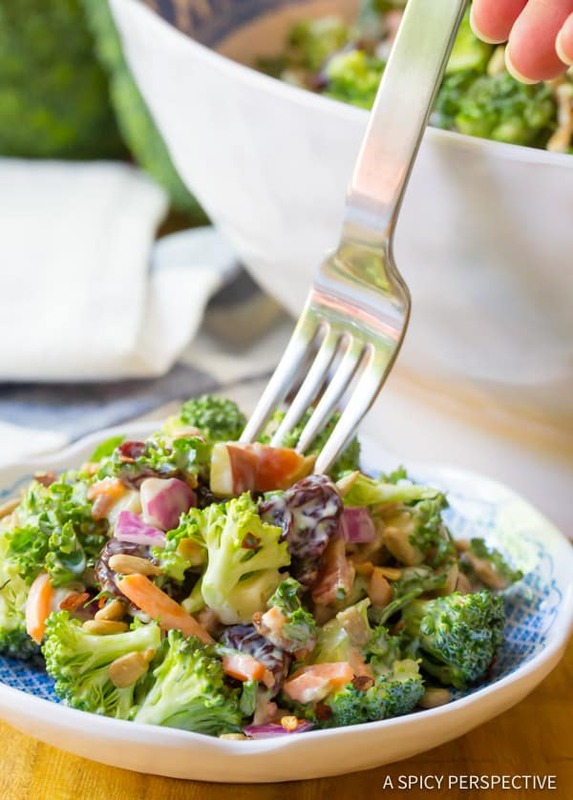 The Best Broccoli Salad Recipe – This spin on classic southern broccoli salad is bursting with color and surprise ingredients. 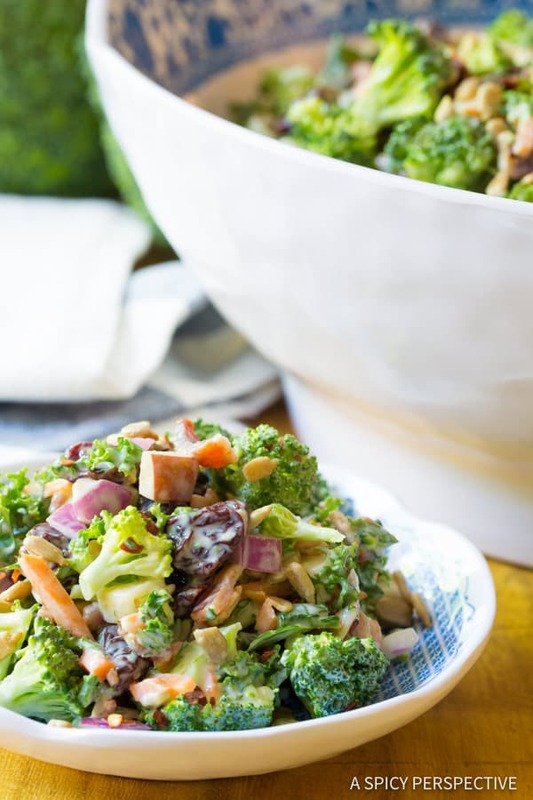 Broccoli Salad is a classic side dish that is a true crowd-pleaser all year long. However, I find we eat it most often in the summer when we are planning picnics and outdoor parties. 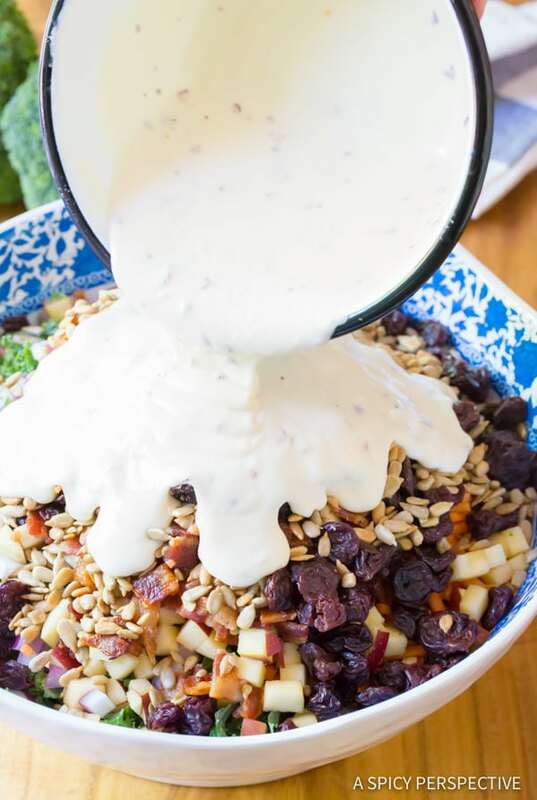 The traditional southern blend of tiny broccoli florets, bacon pieces, and dried fruit kissed with a creamy slaw-style dressing has been around for decades. 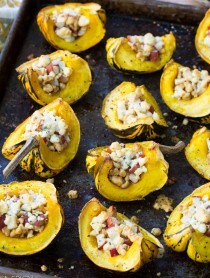 Some cooks add in seeds, nuts, onions, and other ingredients to provide additional flavor and crunch. 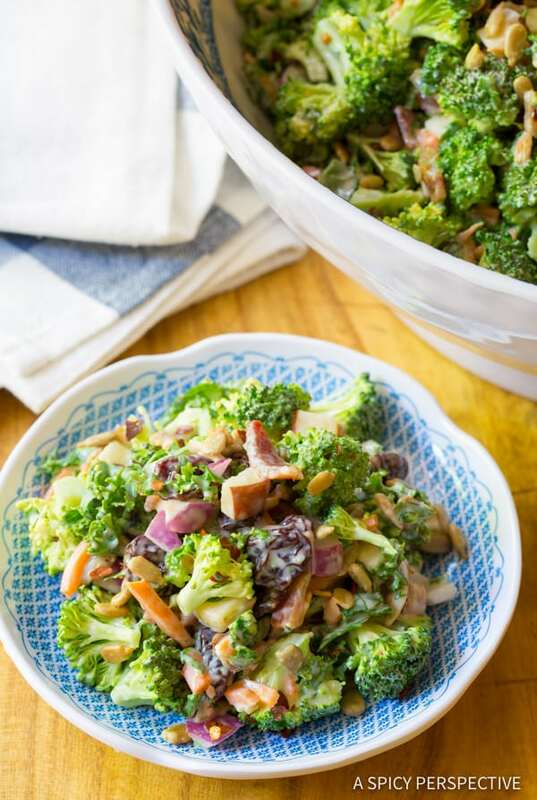 I have a few other ingredients I like to throw in to create the perkiest, most intriguing, ahem… The Best Broccoli Salad Recipe, my family has ever eaten. And crushed red pepper to perfectly balance the sweet and heat. It offers endless crunch, sweet bites of fruit, rich salty bacon and sunflower seeds, and a touch of spice! 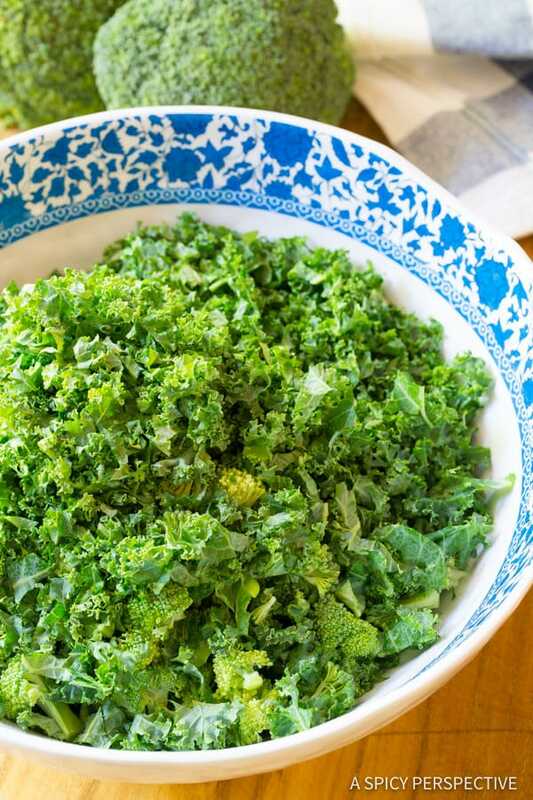 Why add kale to broccoli salad, one might ask? I find that finely chopped kale blends perfectly into the broccoli creating little pockets to hold the dressing and other tasty tidbits. It offers more nutritional value to the salad, than just broccoli alone. Yet friends and family members resistant to kale, won’t even know it’s there! 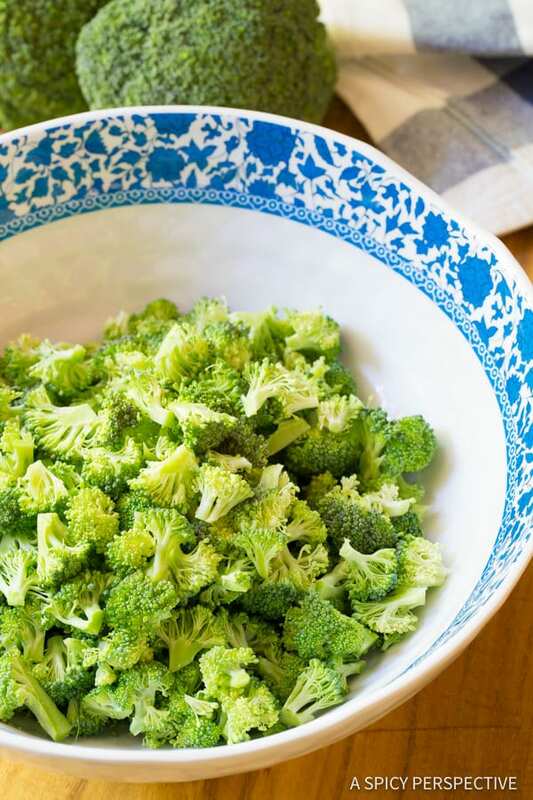 The Best Broccoli Salad Recipe is a fabulous make-ahead and leftover. The ingredients all hold their texture for up to a week in the fridge. I have been known to stand with the refrigerator door open and eat it straight out of the storage container… For breakfast. There’s no shame in loving this salad. 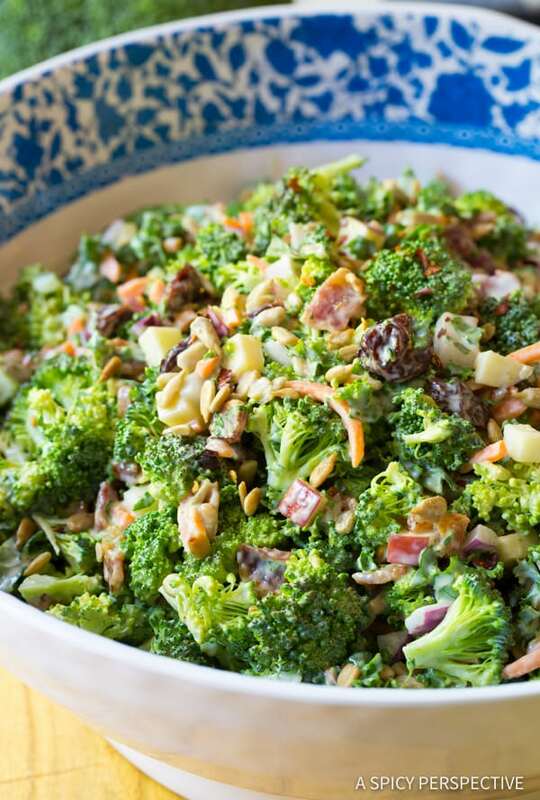 See The Recipe Card & Video Below For How To Make The Best Broccoli Salad Recipe. 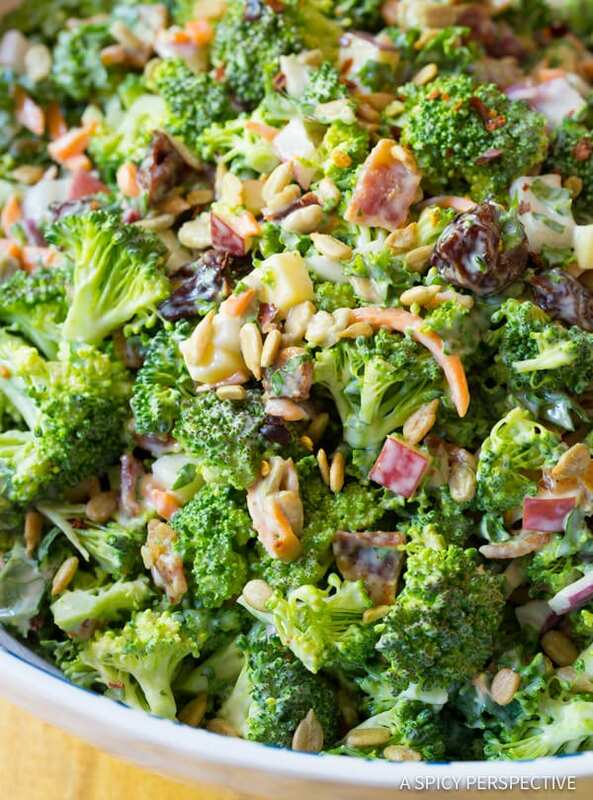 This is the Best Broccoli Salad Recipe we've ever made! A spin on classic southern broccoli salad is bursting with color and surprise ingredients. Chop and prep all the ingredients. 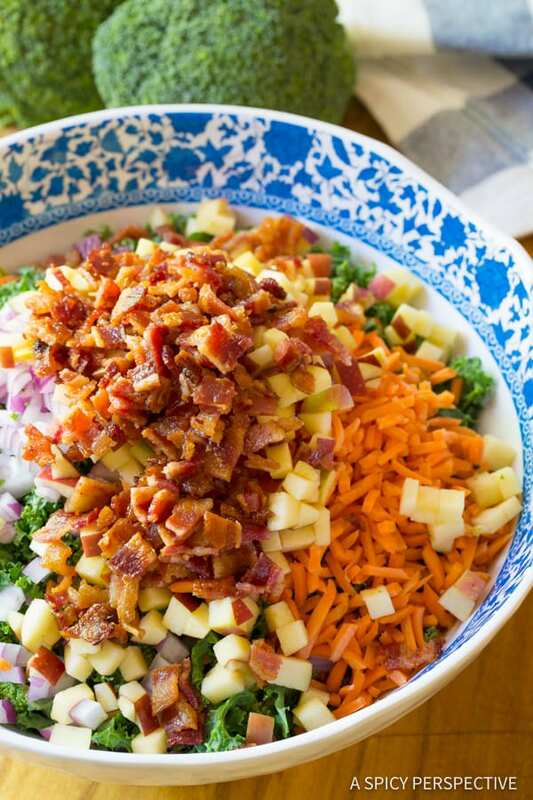 In a large bowl add the broccoli florets, chopped kale, red onion, shredded carrots, chopped apple, dried cherries, chopped bacon, and sunflower kernels. In a medium bowl, whisk the mayonnaise, apple cider vinegar, honey, crushed red pepper, and salt, until smooth. Pour the dressing over the salad and toss until thoroughly coated. Then cover and refrigerate until ready to serve. *Can be made up to 3 days ahead. Thanx this recipe has everything thats good in it. I would like to make this recipe but it lists 12 servings. How many cups, etc is a serving. I am diabetic and would appreciate this information. Each serving is approximately one cup. Our videos are always embedded in the recipe form. Let me know if you can’t find it. I made this tonight for my family and it was major home run! I left out the carrots. I substituted Monkfruit for honey and cranberries for cherries. I also didn’t add bacon for my vegetarian. It was still the best broccoli salad ever. Do you cook the broccoli at all or is the broccoli raw? Love this! Made this to take to a baby shower brunch and I received so many compliments on how delicious it was! And it was super easy to make! Love this salad! 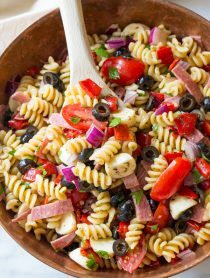 I make it all the time and bring it for my lunches during the week and it’s always a hit at BBQs! 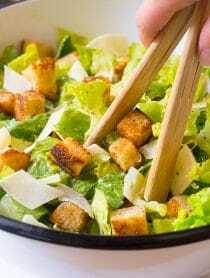 Is there a vinaigrette dressing recipe you think would work well with this recipe? Mayo is a no-go for me. I didn’t have kale or carrots, dried cherries and don’t eat pork. So substituted a head of cauliflower and dried cranberries and its Delish too. Thanks for the recipe. We are all broccoli lovers in our house! This salad really does look the BEST! This looks fabulous. I actually just BOUGHT something similar at the grocery store. It was so tasty but I know the homemade version would be even better. Definitely making this soon.